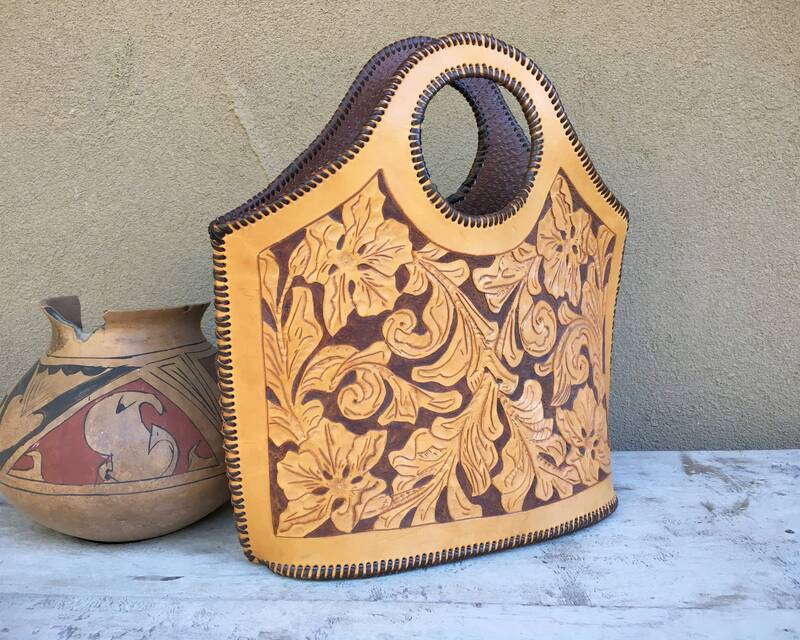 This hand tooled leather shoulder bag has a great design. 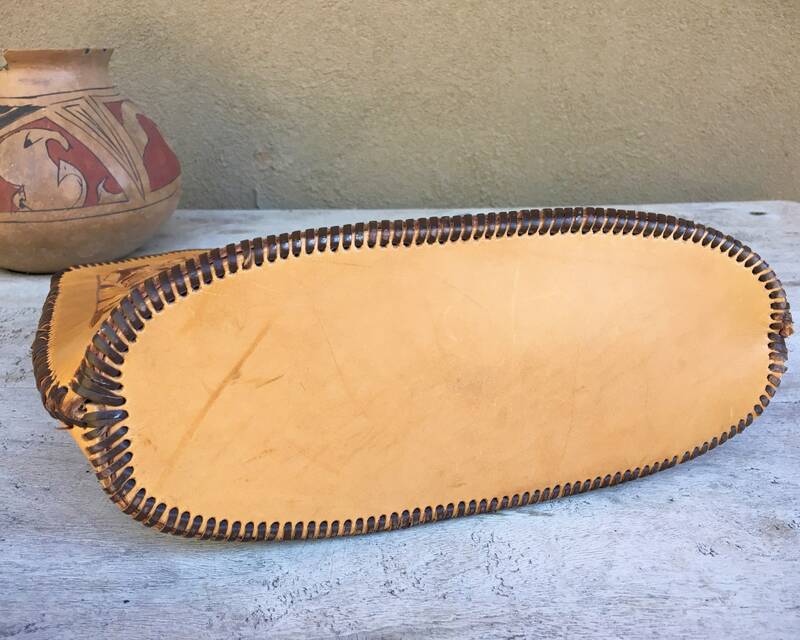 Two large pieces of leather, each with the arm hole cut out, and one piece at the bottom, and leather stitching all the way around the edges. Unlined, just pure leather. Couldn't get more simple than this. 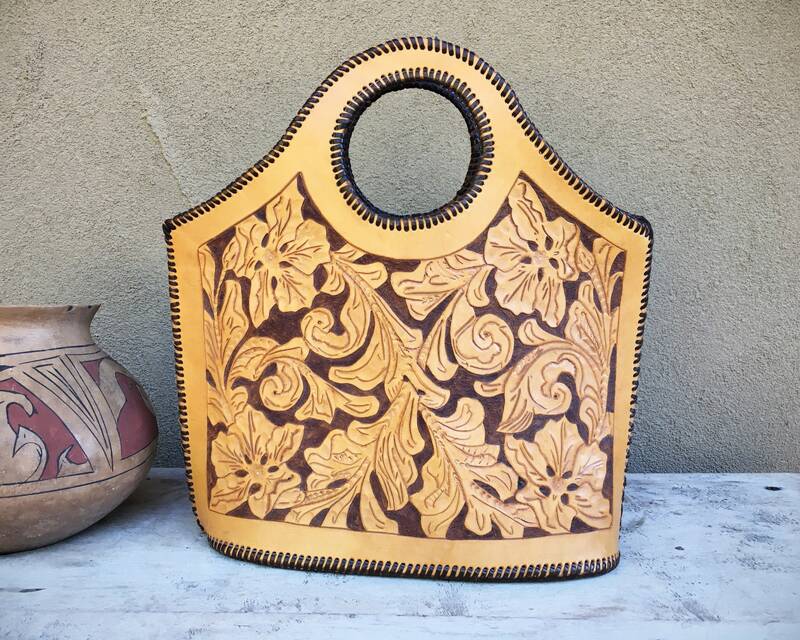 While this purse is circa 1960s to 70s, the style has seen a resurgence thanks to Alejandro Yeo, who comes from a famous Mexican leather making family. 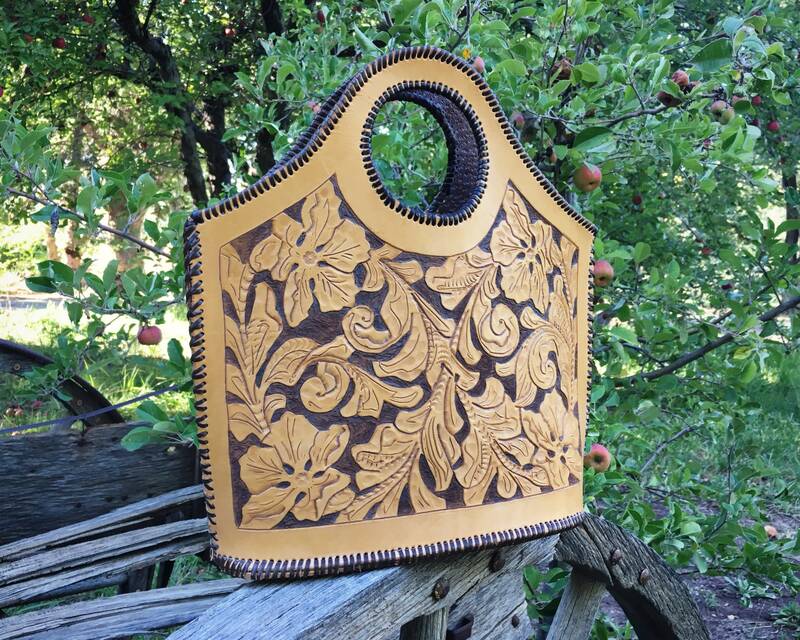 Yeo's purses have a bit more bells and whistles, and this style starts at about $259 and goes up from there. 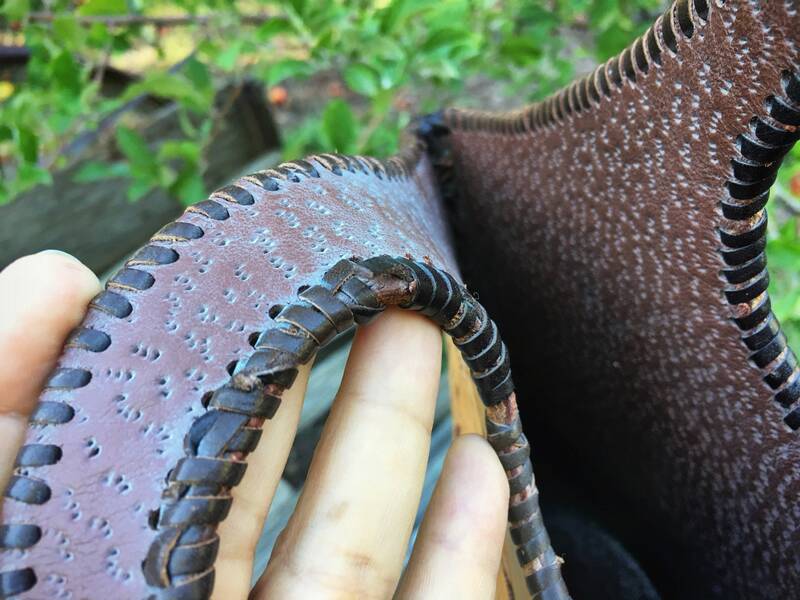 What's beautiful about this older and simpler version is the coppery orangey brown color of the leather background, darkened in the crevices of the tooling, and the dark brown leather stitching. 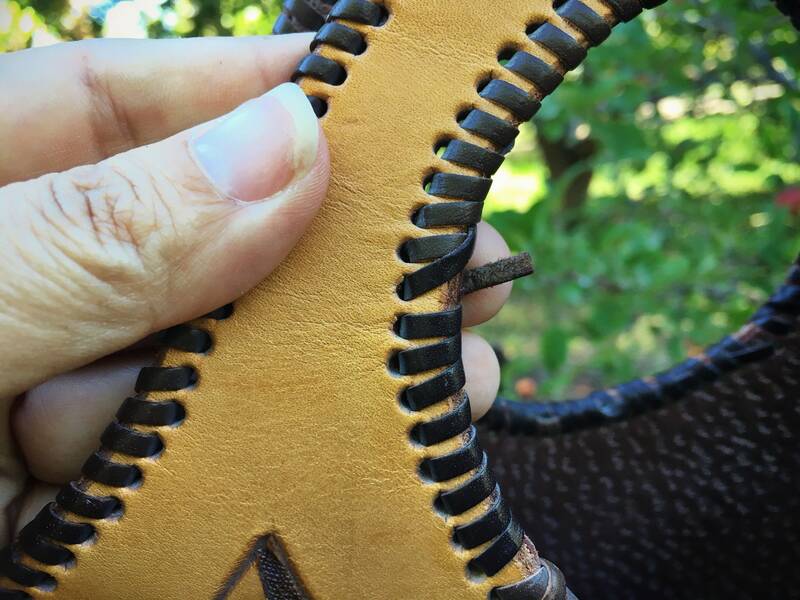 One spot where the leather stitching is cut, so take extra care to not allow the stitching to unravel. Measures just under 14" tall by 13-3/4" wide and 4-3/4" deep. 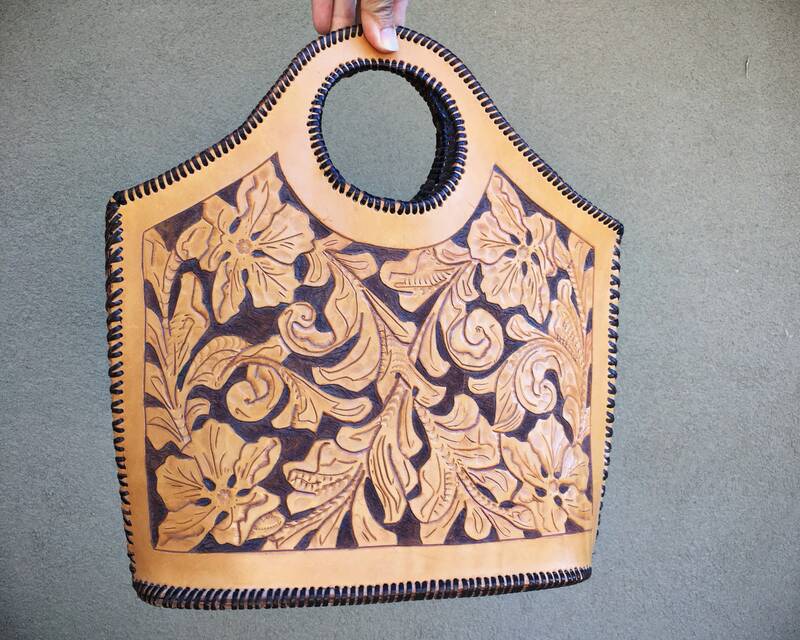 No interior lining nor zippers. 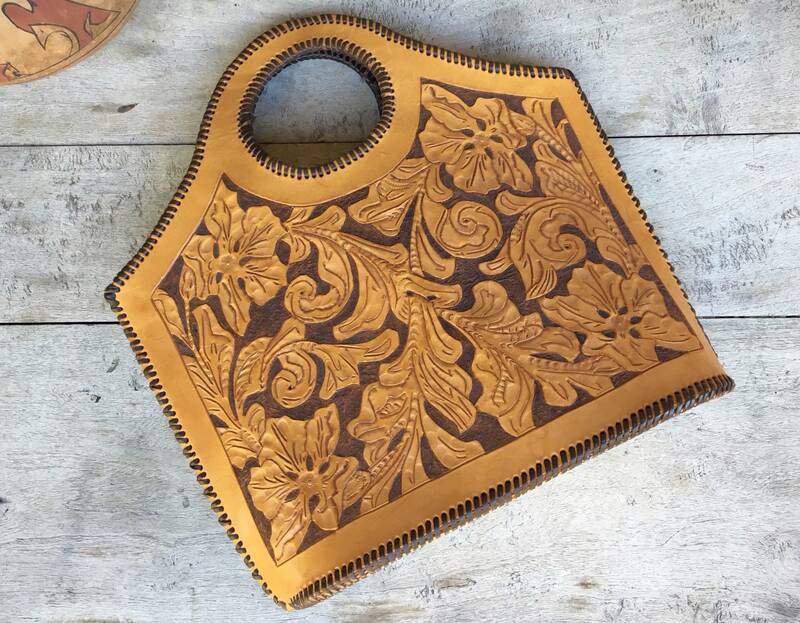 This is just a single compartment purse. 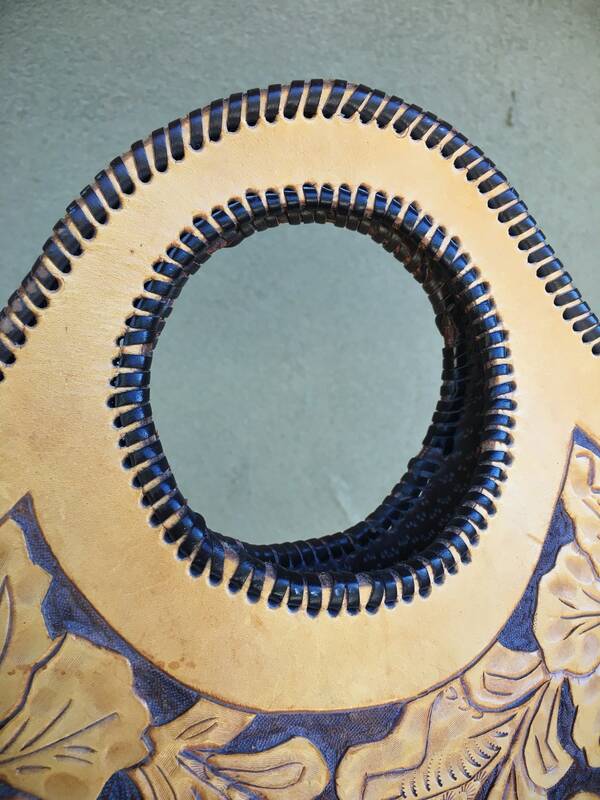 Other than the one spot where the leather stitching is loose is in good vintage condition. 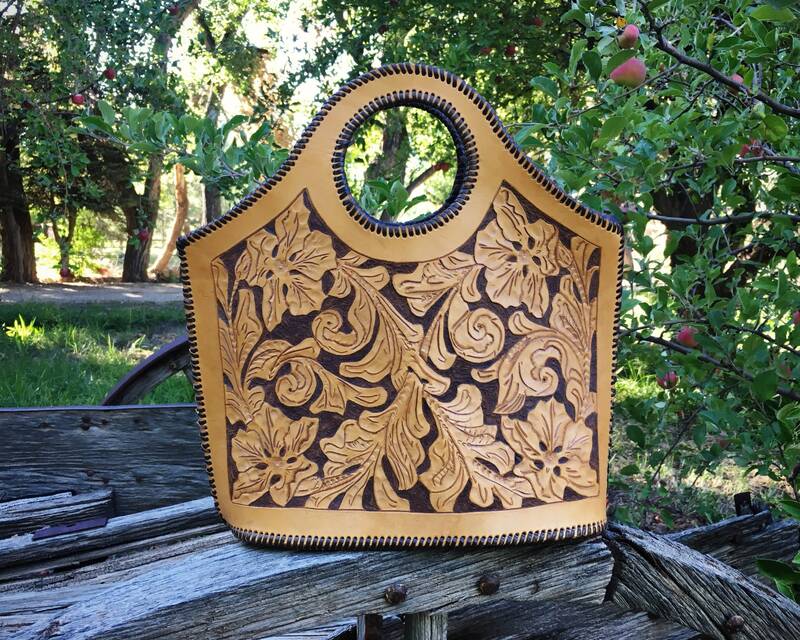 For the cowgirl with unusal style.